Alro offers a full line of expanded metal products made from a wide range of materials, including carbon steel, stainless steel, and aluminum. Carbon steel expanded metal is a versatile material made from sheets or coils of carbon steel that are uniformly slit and stretched, forming a diamond pattern of openings in the sheet. The pattern varies by the gauge and type of material and the size of the diamond. Expanded metal is the most practical and economical way to assure strength and safety. It features a one-piece construction that will not unravel when cut, and its anti-slip properties make it ideal for use on plant or pedestrian walkways, bridges or billboard platforms and stair treads. Alro carbon steel expanded metal is the most economical expanded mesh among the metal materials. 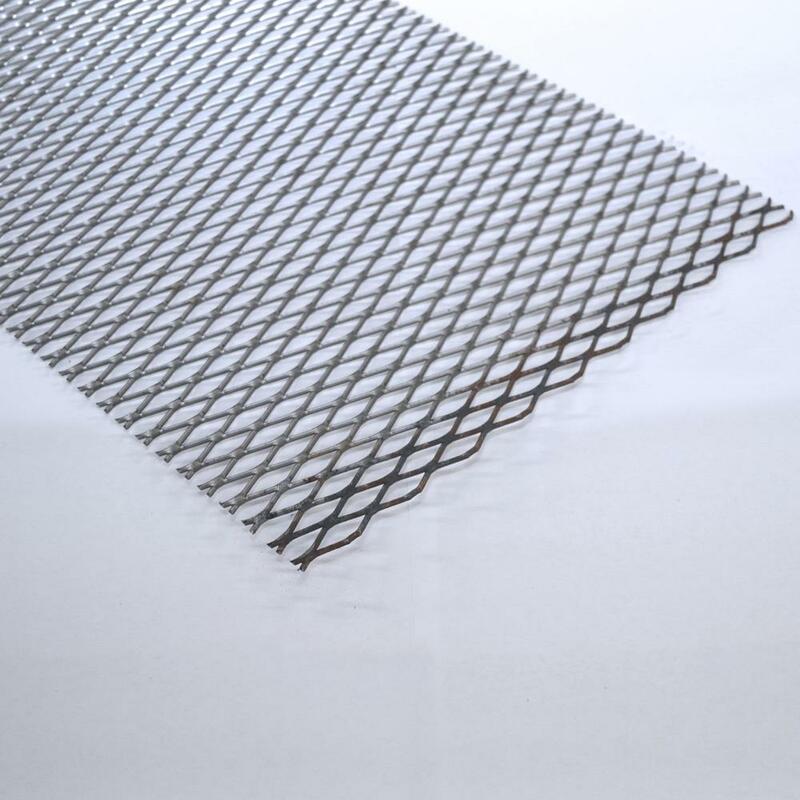 Made from a sheet of carbon steel that is uniformly slit and stretched, our product is available in small, medium and heavy type expanded metal mesh, with openings in the shapes of diamond, hexagon and square. The openings in the sheet allow for the passage of light, air, heat and sound. The strands and bonds of the bindings add strength, rigidity and resist unraveling. Carbon steel expanded metal is extremely versatile and used in various applications, such as ventilation, construction, equipment maintenance plus reinforcement and the protection and isolation of machines, electrical equipment and windows. Heavy carbon steel expanded metal can be used as stair treads for oil tanks, working platforms, corridors or walkways. Applications include: Railings, Fences, Roads, Bridges, Railways, Vents, Mesh, Security, Flooring, and Barriers.